This solid, raw or bare copper wire is known for its lovely warm hue and soft, supple strength. The copper is naturally bright and shiny, without plating or coating, however, it can be oxidised to create an antiqued, aged, vintage look. 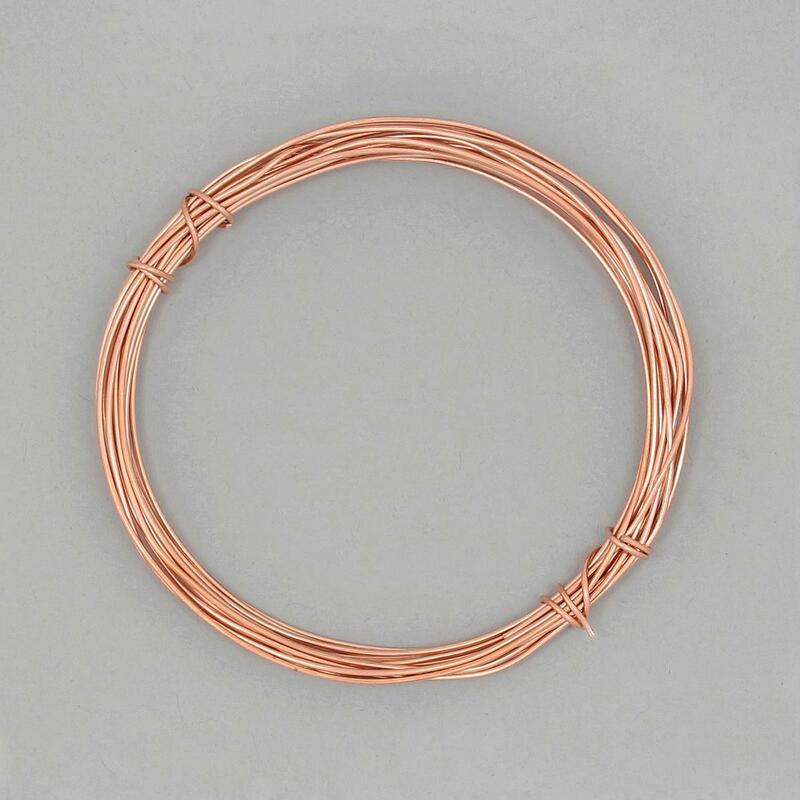 This 4 metre reel of thick, 1mm Raw Copper Wire is perfect for binding and twisting and can be formed easily using jewellery pliers and tools to make frameworks for more complex pieces. You can use this gauge to wrap heavier beads with larger drill-holes, make ring shanks, medium clasps, large jump rings and even chainmaille.